eStem East Village Elementary School is proud to announce Guys in Ties, a Distinguished Club of our male students in grades 4-6. 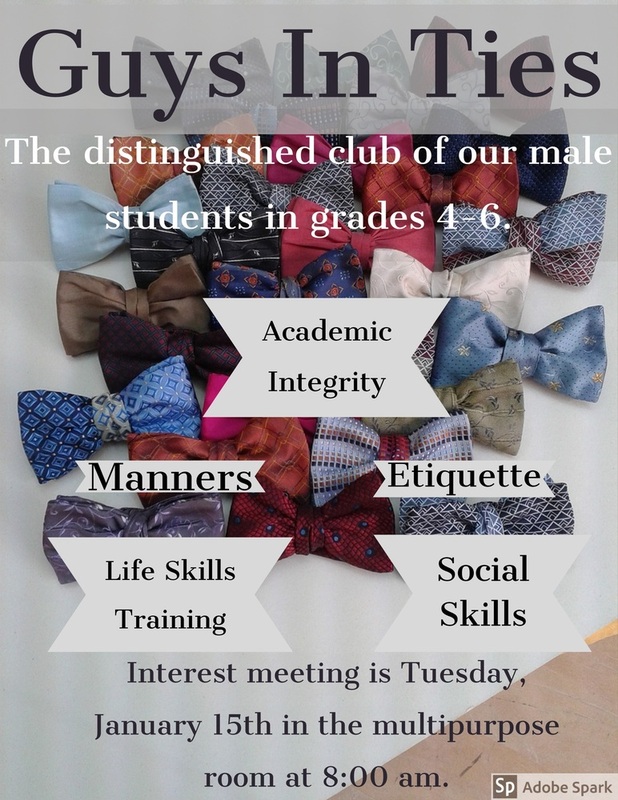 Hosted by Mr. Dukes, Mr. Scott and Mr. Dixon, the Guys in Ties Club is a newly formed club with the overall premise of T.I.E.S. (Teaching Intellectual Excellence to male Students). This club will provide young men with life skills training, academic integrity, etiquette, and social skills that will ensure self-growth as they matriculate academia. If you are interested in having your child participate in this Distinguished Club, there will be an interest meeting on Tuesday, January 15th at 8:00 am in the multipurpose room. The males will receive more details about the group, and bring home a permission letter for you to read and sign. That letter will have all dates and information needed for your Guy In Tie to start the club. If you have any questions, please feel free to email Mr. Dukes, Mr. Scott or Mr. Dixon.